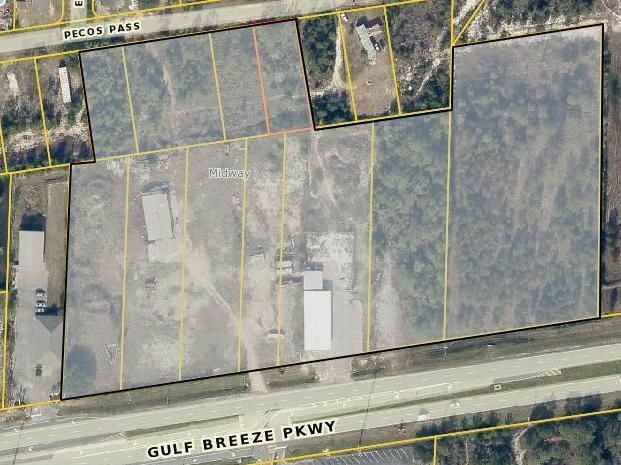 This 10.4 Acre site is zoned Highway Commercial and lies between Gulf Breeze and Navarre Fl. The property has 920 (+/-) front feet on Hwy 98 and traffic counts of 33,000 cars daily. The property has several DOT curb cuts as well as full access from east and west bound traffic. There are currently two office/ warehouse buildings with year to year tenants, Seller is willing to divide. Contact listing agent for demographics.